← Dear author, I will read anything you write. 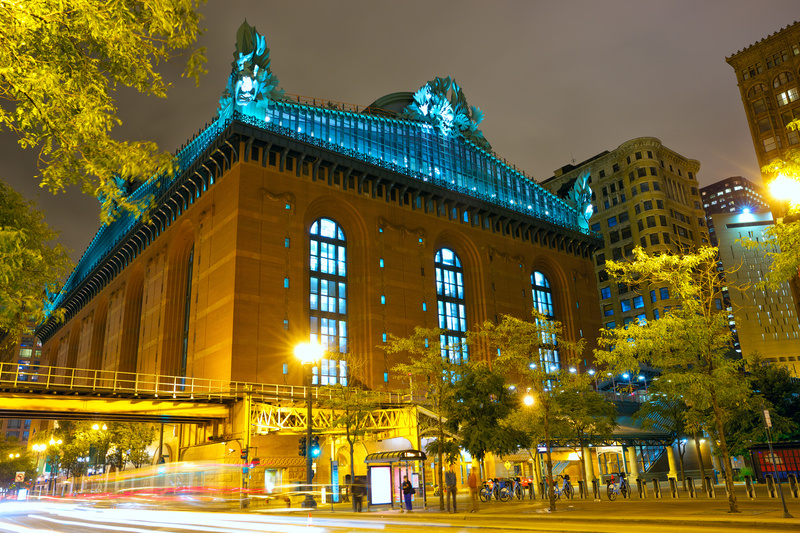 In my first year of college in Chicago, I fell madly in love with the main Chicago Public Library. Unfortunately, I was in school and I didn’t have as much time for reading-for-me as I would have liked—and I wasn’t making the time either. I was actually in a bit of a silly reading drought brought on by a critical misunderstanding of what sort of books I was “supposed” to read now that I wasn’t of YA age [answer: it doesn’t have to be all classics (and classics don’t have to be Jane Austen!)!] But somewhere in there, in the midst of the bits of reading I was doing, I discovered how to use Overdrive for Kindle. [I can borrow books from the library to my Kindle? Whaaaat?] It is quite possibly my favorite discovery of the past 24 years. Even with only reading a handful of books a year, and still visiting the CPL for stacks of books that would likely become did-not-finish books, most of my reading switched over to Kindle. Once I remembered how much I liked reading voraciously (finding new genres helped a lot) and ended my drought, I was a total Kindle junkie. Of course! Overdrive was free and took much less effort than multiple trips into the Loop, and in a tiny dorm room there simply wasn’t space for many paperbacks. But, after graduating, there was space in an actual apartment. Conveniently (inconveniently), I work just two blocks from a fabulous used bookstore, Open Books*. One of the greatest (worst) things about OB is how well they’ve uilize their giant windows for displays: over the past two years I’ve probably gone in a dozen times to buy something I saw in the window walking by on the way home. And because I was buying physcial books, I knew I should probably re-learn how to read them. Which may sound silly, but I was so deep in an ebook groove that it has taken some intentional effot: remembering to take them with me, reading at home more, not minding the weight, not minding only having one book in my hands at a time. I still finish my ebooks much faster, but the gap is slowly closing. Yet even though I graduated a almost two years ago now, I’ve never taken advantage of the library two blocks from my first apartment, or, now, the one that’s a fifteen/twenty minute walk away. But I should, right? I feel like I’m missing something in my life, with the only library I frequent being a webpage. Now that I’ve been pushing myself to put down my Kindle more and pick up hard copies instead, shouldn’t I be using the library? This is a complicated question, which involves mentoning the dozen unread books already in my own used bookstore apartment. Hopefully I’ll give in soon—and fall in love again. How does everyone else manage reading from so many different sources—digital and physical, puchasing and borrowing? Do you organize or prioritize somehow, or just read whatever suits you at the time? *Open Books is moving quite a bit further away, and it is possibly the worst thing ever. My budget disagrees. I had a Nook, and it was nice. But I have been loving buying books again. I didn’t read the last books I checked out of the library…and now I have fines! I feel so bad. Making time to read can be hard when you get out of the habit. Also, totally share your love of libraries. They’re magic. Fines on books you didn’t even end up reading is the worst! Oh I love that there is a word for it. Tsundoku. That’s magical. I will definitely look into the Printer’s Row Fest. I think I’ve heard of it, but have never known enough to consider going. Do you live elsewhere now? As for Printer’s Row– it’s HUGE. You should definitely go, see some events and have fun :) Levar Burton (Reading Rainbow!) will be there this year, and it sounds amazing. Supposedly you use a different part of your brain when reading a physical instead of a kindle. Something about the tactile cone too between your hands and your brain. I have also been terrible about readING books. It was so much easier when YA books were still appropriate. Now I just walk into a book store and check out what’s on the bestseller list. That or I will ask friends. The CPL looks absolutely beautiful! I like going to the grand library in Los angeles, but it is so difficult to get to since there is no parking and the train is so far from the building. I need to make more trips! That’s super interesting. I wonder how that works, since I hold both things? I might have to google that myself. Oh my days that library looks amazing!! I have defo got out of the habit of reading which makes me very sad :( I actually went to a second hand book shop and bought a couple of books but I haven’t had the chance to read them yet. I haven’t got a kindle yet. I am still on the fence if I would like one…I tried using my mums. It was odd but I think I will always prefer a hardback but a kindle on holiday sounds a lot better!